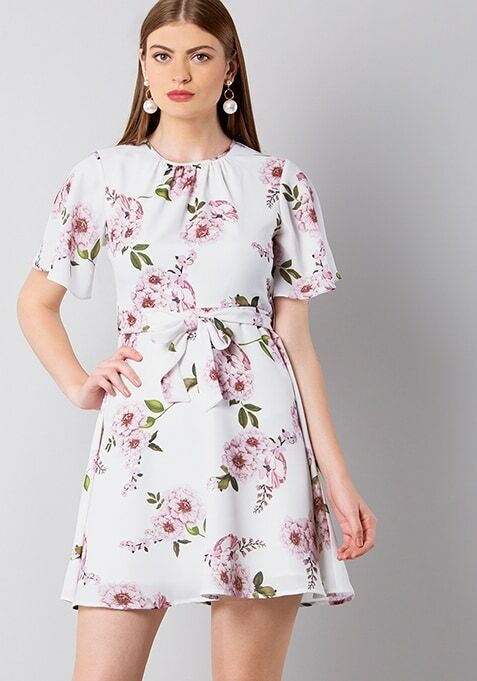 This ultra soft, white skater dress is a must-have for your new season look. Featuring floral print, flare sleeves and fit and flare silhouette. Work It: Endlessly versatile this dress goes well with wedges and a bum bag.